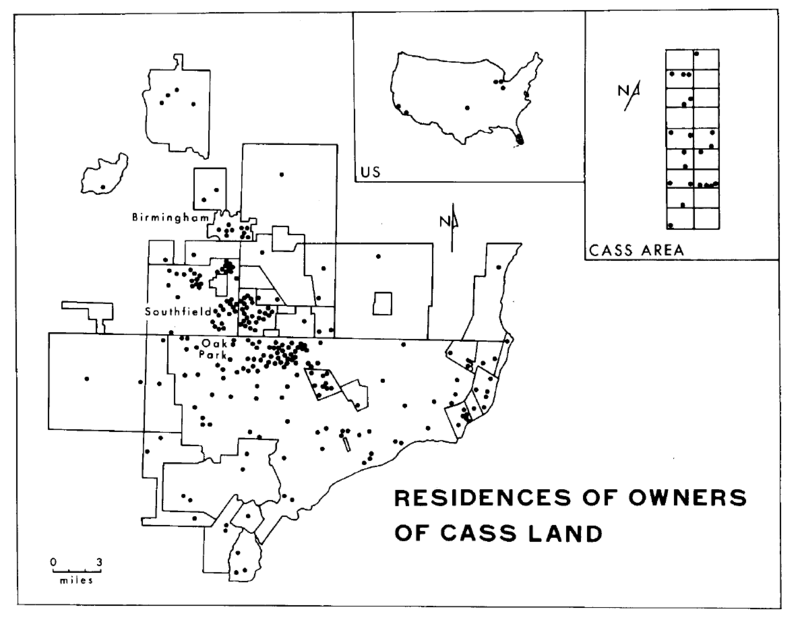 This map was published in Field Notes III of the Detroit Geographic Expedition and Institute (DGEI), which had a large focus on the 18-block area defined as the Cass Corridor. The report looked at demographics, assets, owner’s of land, etc. This is a very telling map as to the distribution of power and land in 1970s Detroit when Cass Corridor was not the best neighborhood to visit. It appears that Palmer Park, a wealthy, gated neighborhood to the North off of Woodward held much of the Cass Corridor land. Even as Midtown and Downtown see extensive development the legacy of Cass Corridor is seen in the poverty, homelessness, and social services. 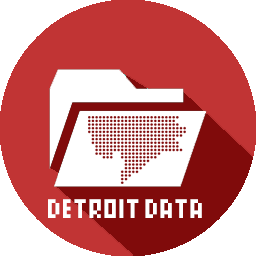 Time will tell how the new Arena District will impact the Cass Corridor and its history.